Challenger was the first space-worthy shuttle built, the second shuttle manufactured after the test-only Enterprise. It carried the first spacewalker of the space shuttle program, the first American woman astronaut, and the first duo of women astronauts. Later, it was the first space shuttle to launch at night. The only record of the crew realizing they had a problem was pilot Mike Smith saying, “Uh-oh.” It might have been in response to a sudden sideways shove in the shuttle, or from instruments displaying spiking engine temperatures. By 73 seconds, all engines were approaching redline temperature limits, automatically shutting down. The spinning tower of exhaust trail exploded into fire, smoke, and vaporized propellent at 78 seconds. The explosion hurled fragments of the orbiter away, shredding the left wing, forward fuselage (with crew cabin), and main engines (still burning propellant) in different directions. When the usually-pliable O-ring ruptured in the right solid rocket boosters, hot exhaust started streaming out. The flaw had been known since 1977, but was ignored. During the disaster, this hot exhaust cut through the steel booster casing like a welder’s torch, then started cutting into the external tank. This, too, was a known flaw, with post-mission evaluations finding evidence of a milder form of erosion during a flight of the space shuttle Columbia. 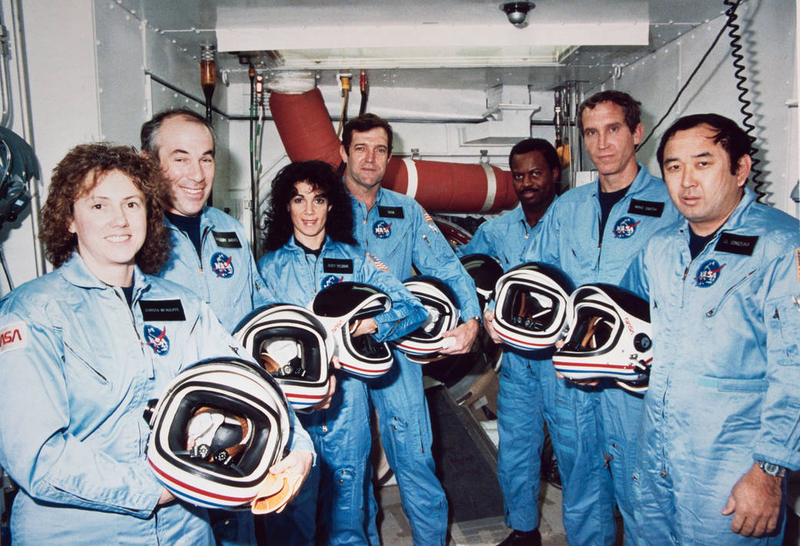 Today, the date of the Challenger explosion is also NASA’s Day of Remembrance commemorating all of those who have died in the pursuit of spaceflight. Do you remember the Challenger disaster? Share your memories with us!